The hand-sewn glove-soft cream leather uppers of the stylish “Lizzie” loafer from Hitchcock Wide Shoe Closet have stylish reptile-print collar and tassel. 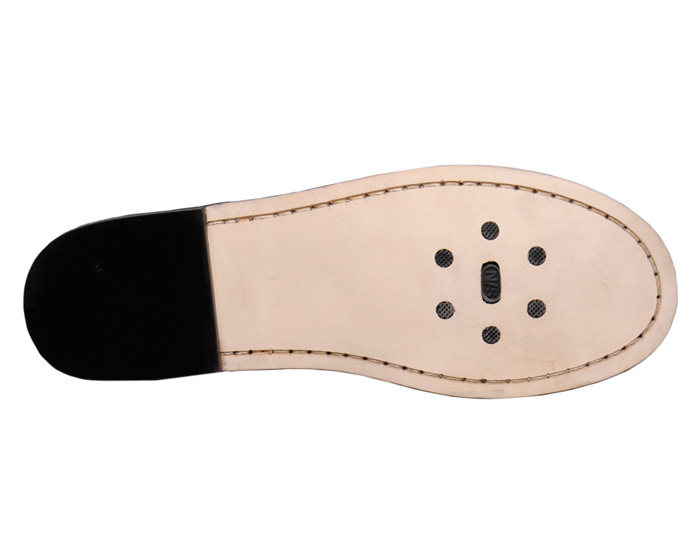 It is fully lined with leather and has a comfortable leather-topped foam cushion insole. The leather outsole has rubber inserts at the ball of the foot for enhanced durability. Rubber heel. Georgia last. Originally $99.95. Limited stock in women's 2E and 4E width in sizes indicated.